Anglia Ruskin University Cambridge, take delivery of their new sets. Opticlar mobile Optometry sets were delivered to Anglia Ruskin University at the start of the year and have been very well received by staff and students alike. 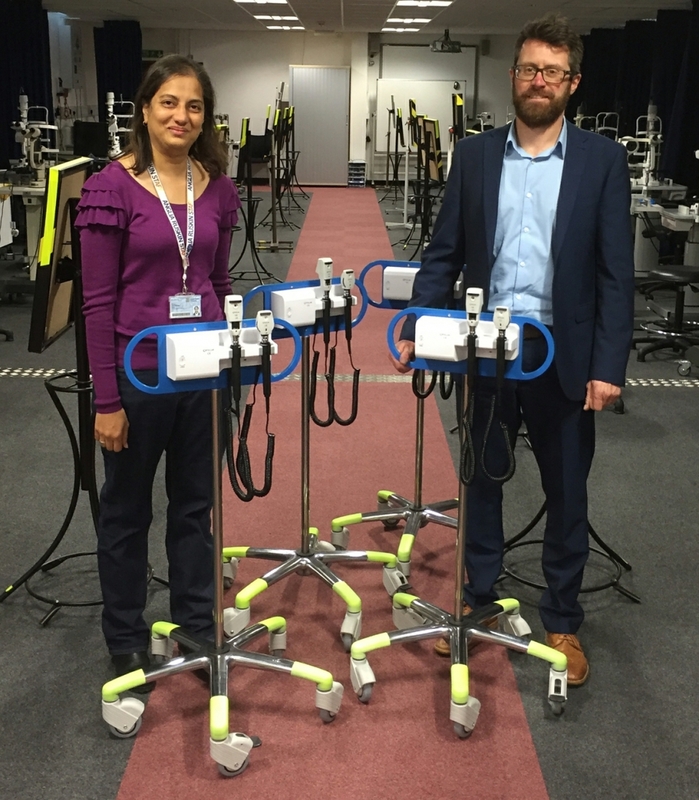 Rupal Lovell-Patel, Course Leader and Director of Optometry at Anglia Ruskin accepted the new sets and is delighted with how they are performing. 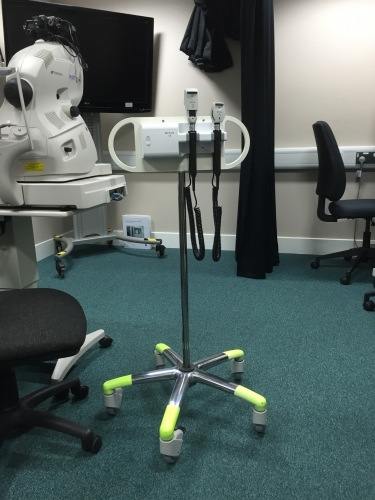 A unique colour scheme was provided at the request of the University, with a blue back plate to denote sets in the 3rd year training bays and a white back plate for the Eye Clinic. They look amazing and we will look to offer this option to other centres in the future.